For many years now, the Daytona Beach area has been a top choice for spring breakers. The classic locale has evolved some over time; however, it still provides quality entertainment choices for all kinds of visitors. With cleaner beaches and a bigger variety of things to do, some might argue that now is a better time than ever to plan a spring break vacation in Daytona Beach. When establishing your spring break plans, it’s important to remember that you shouldn't limit yourself to just the Daytona area. Florida has done a lot of evolving over the years too, and the spring break fun has spread throughout its coastal cities and beyond. Set in an ideal location, Tropical Resort and Marina offers easy access to Daytona as well as many more of the best Florida spring break destinations. Picking a spring break hotel in close proximity to all of the top Florida attractions is a must. At Tropical Resort and Marina, you not only have easy access to a number of beaches and waterways, you’re also very close to famous state and national parks (such as Blue Springs State Park, Hontoon Island State Park and Lake Woodruff National Wildlife Refuge). Hop on I-4, and in no time you’ll be at one of Orlando, Florida’s premier theme parks. With these kinds of options, you’ll never want to sit idle on your spring break, and if you do, our scenic location right on the St. Johns River will take your breath away. In addition to picking a decent location, spring breakers should also make sure that the hotel they choose gives them the option to dine in for little or no cost. Not all Daytona Beach spring break hotels have functional, well-outfitted kitchens that help save you time and money during your travels. At Tropical Resort and Marina, our one, two and three bedroom rentals give you the option to cook in house and dine in, so that your vacation funds are not constantly drained by those pricey meals out. A good Daytona Beach spring break hotel should also provide activities on site, because you shouldn’t have to endlessly scour the town to pass your time. At Tropical Resort and Marina, right outside your door you have your own oasis to explore. We offer fishing excursions, gaming areas, canoe and kayak rentals, and pontoon boat experiences right on the river. For those low-key vacation days, we’ve got a solar-heated pool and relaxed seating areas to pass the time. Whether you're planning your Daytona Beach spring break with a crew of college buddies or your spouse and children, the area offers both a student-friendly or family-friendly experience. There is plenty to do and see in Daytona Beach and the surrounding locations, so no matter whom you're traveling with, start off by picking the right spring break hotel that can afford you all the best spring break vacation possibilities. Look beyond the usual Daytona hotels and choose something that offers so much more. At Tropical Resort and Marina, we provide accommodations for students and families that set us apart as one of the best located, most affordable Florida spring break destinations in the area. 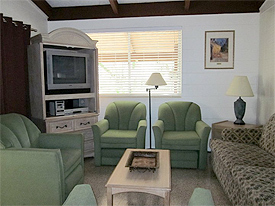 View our spring break accommodations.